The Manchester Arts Commission invites the public and arts organizations to participate in a community forum. Join us and hear from out keynote speaker, Kristen Newman Scott to discuss the current state of funding in the arts, and grant opportunities. 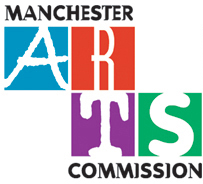 The Manchester Arts Commission began the State of the Arts conversation in 2011 and it continues today. We think that you will be excited to see and hear about the opportunities and plans for the near future. If you are a spokesperson for your group you may be able to share your progress or comments. Tables for literature distribution will be available.